Services and rates - Go anywhere. Bring anything. ​Green Machine Cycles provides a full range of bicycle repair services, from basic flat tires and brake adjustments to complete tune-ups, overhauls, and custom fabrication. We always provide a free, on the spot assessment of your bike's condition, as well as service recommendations that suit your needs and budget. Our assessment is based on two primary goals: safety and performance. 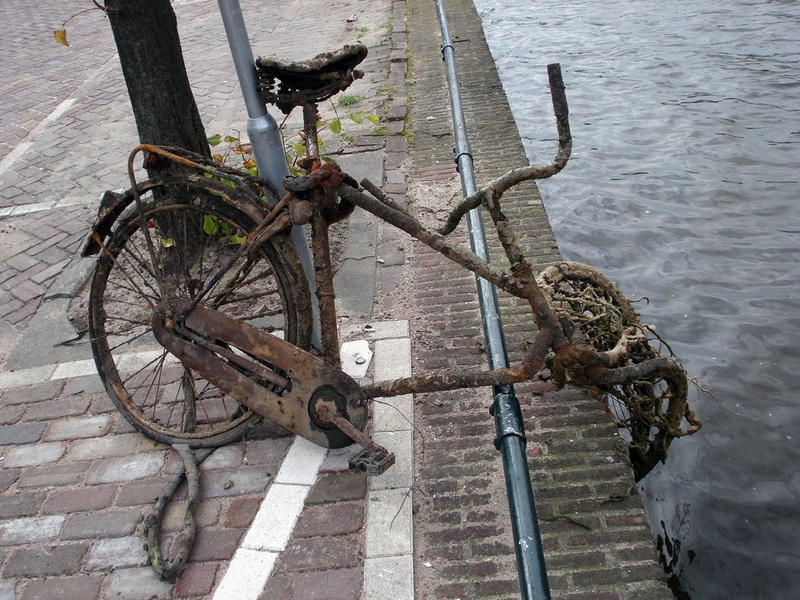 If you leave your bike for repair we must ensure it leaves our shop in safe condition. Secondly, we will make recommendations to optimize your bike's longevity and ride quality. All the service we perform is time-tracked work tailor-made for your bike and your budget. This means that you'll never pay for service you don't need or want. Our shop works primarily on an hourly rate, which means that the cost of each repair is a function of the time it takes to perform it. Clean bikes in decent shape are typically easier to repair, thus quicker and less expensive. That's our way of keeping it all fair, and of encouraging you to maintain your bike regularly. We are always happy to suggest and demonstrate simple, easy, home maintenance strategies and the products that help you accomplish them. Many shops advertise "pre-packaged" bicycle tune-ups that seem attractive, especially when discounted in the fall or winter to spur sales, but do you know exactly what you're paying for? Often it's work that's either unnecessary or that never happens because you're buying a set of cookie-cutter procedures, not the repairs your personal bike needs. Package tune-ups make about as much sense to us as package vacation deals. Is the cheap airfare really worth the awful food and fleabag hotel? As much as you truly deserve a custom vacation, your bike deserves custom service. Price shopping for tune-ups doesn't make much sense either, because currently there's no standard of care for bicycle service. The quality of one shop's $70 tune-up will vary greatly from that of another's. Most shops will tell you their mechanics are top-notch professionals, but how can you tell if that's the case? Most often you can't, which is why we offer two levels of assurance that our work is the best. First, we explain which procedures we'll perform, and why. Second, we guarantee the work. The difference between this guarantee and others is that you know exactly what was to be done and how long it took us to do it. If something is wrong with the work we will make it right. We will work with you to provide the best service for your bike and budget. Tell us what you can afford, be it $10 or $500, and we will help you prioritize your bike's needs and repair as much as possible for the requested price. We also offer a-la-carte services, since many bikes only need a few specific adjustments. If your bike needs a bath, we can do that. If you need one brake adjustment and a wheel true, we are happy to do that, too. The outcomes of certain diagnostic or extraction procedures, like seized seatpost or bottom bracket removal, are less predictable than others, so they will get assessed an hourly service rate. We can offer you video proof of the work performed if requested. Standard or common procedures like flat tires, broken spoke replacements, or derailleur adjustments are typically charged flat fees starting as low as $10.00. This is the fairest system any shop can offer you. Green Machine Cycles's owner has worked as a mechanic and service director since 1986. That's a lot of time to hone one's skills and think about how best to manage both the predictable operations as well as the expected unknowns in bicycle repair. What you'll get at our shop is the experience and knowledge to have your bike repaired correctly, fairly, and quickly. We will always tell you exactly what to expect up front. Because expert service is our bread and butter, we want you to know what you're paying for. When you bring your bike to Green Machine Cycles we will provide you with as complete an estimate as possible. You can expect large deviations from the estimate only if we inform you certain repair parts could be difficult to obtain and that substitutes will be used with your approval, or if we discover additional issues with your bike during the course of diagnosis and repair. We do everything within our abilities to anticipate unforeseen issues, but sometimes it's not possible to identify exactly which small part is broken inside an internally geared hub, for instance. Until such time as we can afford an x-ray machine for bicycle components we have to rely on our eyes, ears, and experience. Come to think of it, the x-ray machine isn't such a bad idea. Contact us if you know of any dentists selling old equipment.